22 Jan Capital 19 Catch-Up – US markets, Netflix and more. 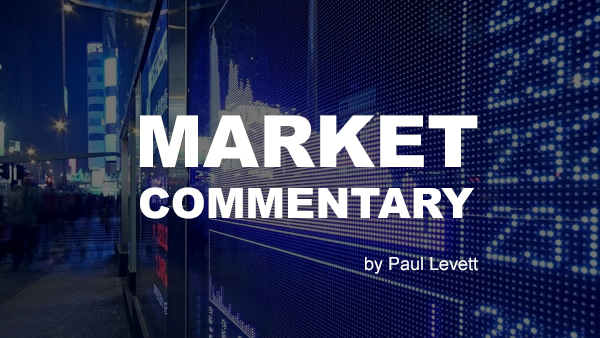 US markets seem to have no problems drifting higher at the moment, despite any resolutions to any of the problems we discussed last week. It certainly suggests that the falls of the last quarter were an overreaction, which we all suspected. Especially given that the economy is still humming along nicely. Was it just a correction we had to have? The Russell 2000 is on fire at the moment, having its best start to a year since 1987. The small-cap index is up 8.8% over the last 11 sessions, well ahead of the S&P500 and the Dow. It seems many investors are jumping all over the cheap prices that came from last year’s late selloff. So does this mean you should be focusing your stock buying on the smaller guys in 2019? There are certainly some better prices around for small caps at the moment, and while there are some good buys out there you shouldn’t get too carried away. The large caps, such as those on the S&P500, are much more risk-averse and will have a better chance at weathering any volatility that comes from trade wars or interest rate rises. It’s always good to have a diverse portfolio, however. Your small caps have a bit more risk in them but can provide greater profits, while your large caps are more stable but you’ll be unlikely to get any ten-baggers. So a couple of quality smaller stocks for growth, mixed in with your solid, larger, value stocks is a great combination to have. We heard news on Thursday that the “Orange One” is quietly discussing easing tariffs on Chinese goods in a show of good faith. There is nothing concrete just yet, and I’d be surprised if there was any official announcement leading into discussions with China’s negotiating team. We all know Trump likes to play games. He genuinely seems to love messing people around. I’m not sure whether it’s a devious trading tactic, an ego raising power play, or whether he is just mentally unstable, but it certainly keeps the opposition on their toes. Speaking of power plays, the shutdown continues into its 31st day today. Both sides are still adamant they won’t be caving in, and there seems no resolution in sight. On January 25 the poor government workers whose departments are shut down will miss another paycheck. I’ve seen some say that they are getting paid what they’re worth, but I think that’s a little harsh. Negotiations will continue this week, but I’m afraid it looks like it will be more of the same unless Donald has a change of heart or succumbs to the pressure put on him by the workers. It was a sad week for long term followers of the US markets as Vanguard Group founder and one of the world’s greatest investors Jack Bogle passed away at the age of 89. He is known as the father of the index fund and had a reputation as a champion of the everyday investor. Warren Buffet once wrote, “ If a statue is ever erected to honour the person who has done the most for American investors, the hands-down choice should be Jack Bogle”. You don’t really get a better compliment than that. In company news, earnings season is underway and we’ve had results erring to the upside so far. Bank of America (BAC) and Goldman Sachs (GS) have been the star performers so far, while Morgan Stanley (M) missed estimates with revenue and profits both down. Netflix(NFLX) was heavily watched on Thursday as the media streaming behemoth announced its results after hours. The good news for investors was the service added 8.8 million global paid memberships for the quarter, well above its estimate of 7.6 million. This took them to 29 million added subscribers for the year. Those figures are astonishing. Revenue was slightly down on expectations while earnings were slightly higher. The company continues to burn through cash at a rapid rate as they attempt to build their own suite of their own in house programmes. Cash flow was negative $3 billion for the year, and CEO Reed Hastings says spending will be similar in 2019 before it will improve in 2020. It’s an all-in attempt to stay relevant against other streamers, including new entrants Apple (AAPL) and Disney (DIS), as well as popular games such as Fortnite, who Netflix see as one of their major competitors. To cover such expenditure they have raised subscriber prices by $2 per month. And while that sounds insignificant it will mean a big difference to the bottom line when you have just shy of 150 million subscribers. In this way, they keep a competitive price point to keep its customers, while funding new products to help keep those same customers paying on an ongoing basis. Monday is Martin Luther King Jnr day in the US so markets will be closed. The first session of the week will be on Tuesday.